The Duchess has really outdone herself recently with her style game. Let’s look at some of her most memorable looks. Meghan’s second official outing as the Duchess of Sussex was certainly one for the books! 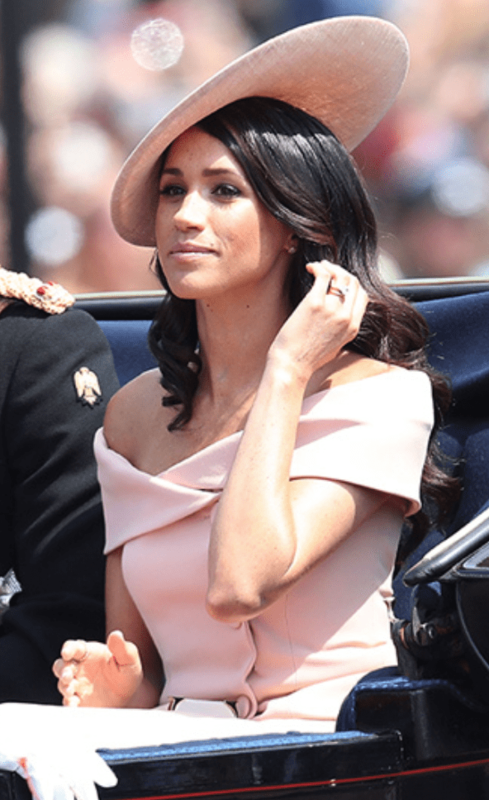 Stepping out with the British Royal Family for the annual Trooping the Color celebration, the former actress dazzled in a peach off-the-shoulder Carolina Herrera gown, which boasted a stunning neckline and modern buttons. She finished the look off with a matching hat, simple jewelry and natural makeup to show off her post-honeymoon glow! In a black belted sheath midi dress by Black Halo, a small cutch, and ankle-laced stilettos at the Women’s Empowerment reception in central London, she looked ever so graceful and elegant. 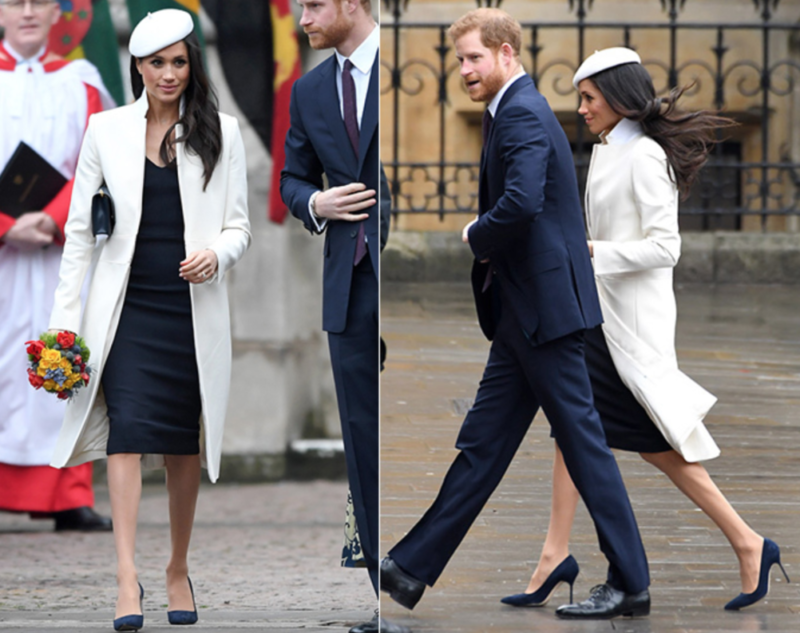 On Anzac day, Markle looked timeless in a bespoke Emilia Wickstead black, jacquard midi skirt and cropped matching jacket at Westminster Abbey. Here is is rocking an Amanda Wakeley coat and navy dress, Manolo Blahnik suede pumps, Mulberry handbag, and white beret while arriving to the Commonwealth Day celebrations at Westminster Abbey.